Today I have the first of a 2 part post featuring 7 beauties from Literary Lacquers, a new-ish handmade polish maker. 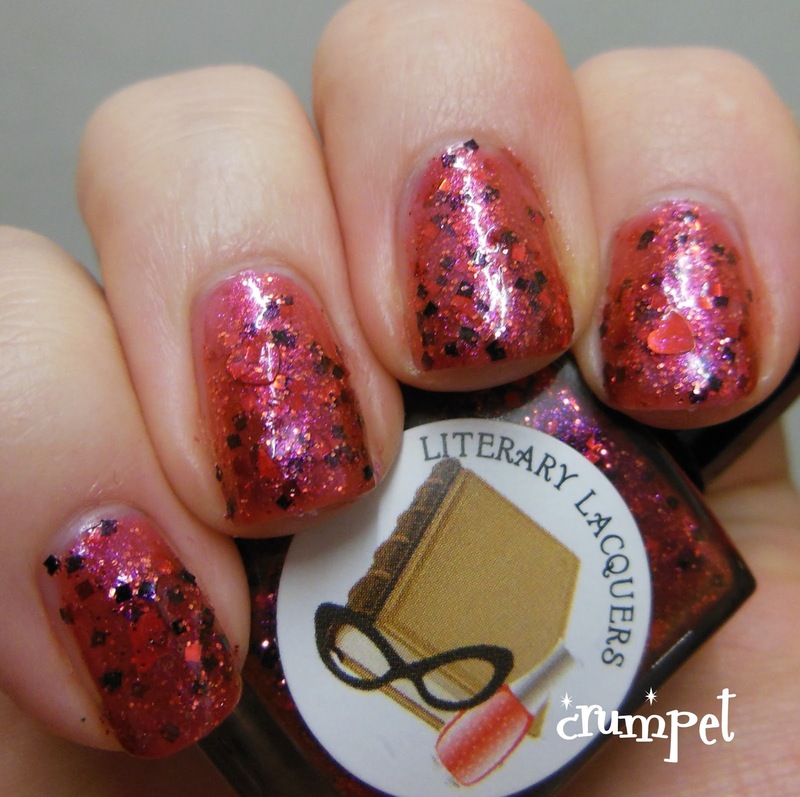 One of the things you may not know about me is that I am a total book geek, and as soon as I saw Amy's lovely labels and that all of her polishes were themed after works of literature, I was smitten. 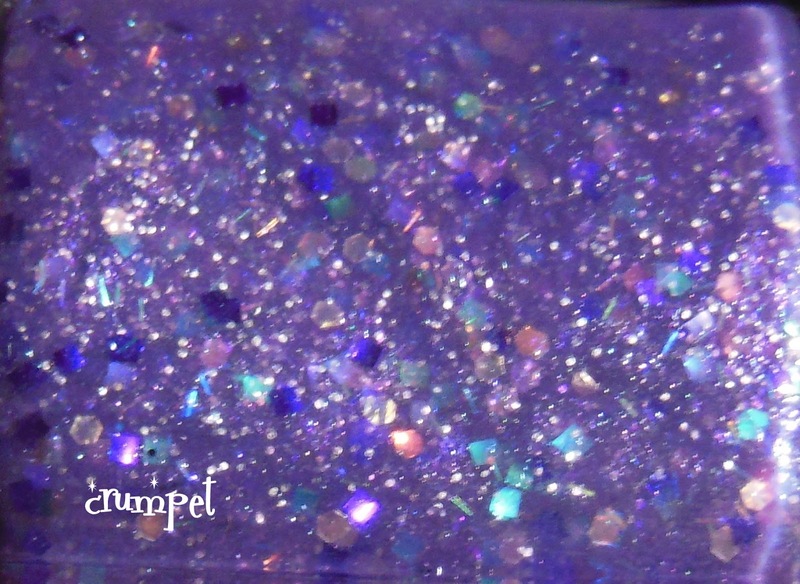 I've split the polishes I received into 2 groups, and today I have 4 glitters to show you. 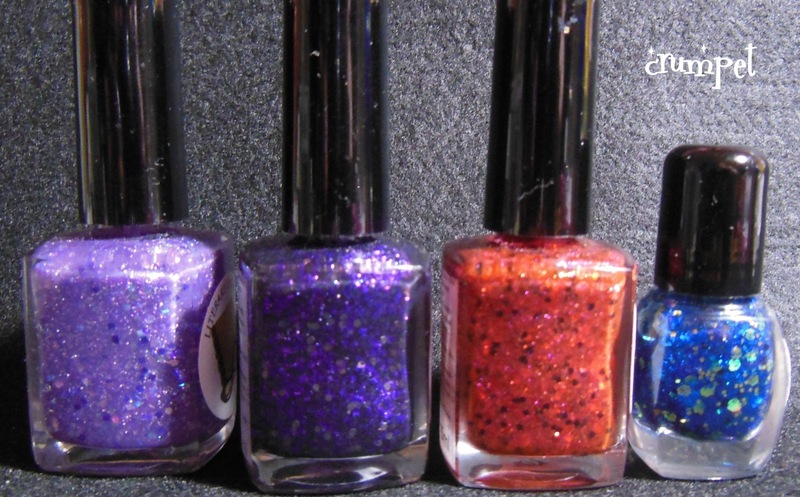 Amy, being wonderful, knew I loved purple, and sent me 2 purple glitters ... and no greens ... or whites !! 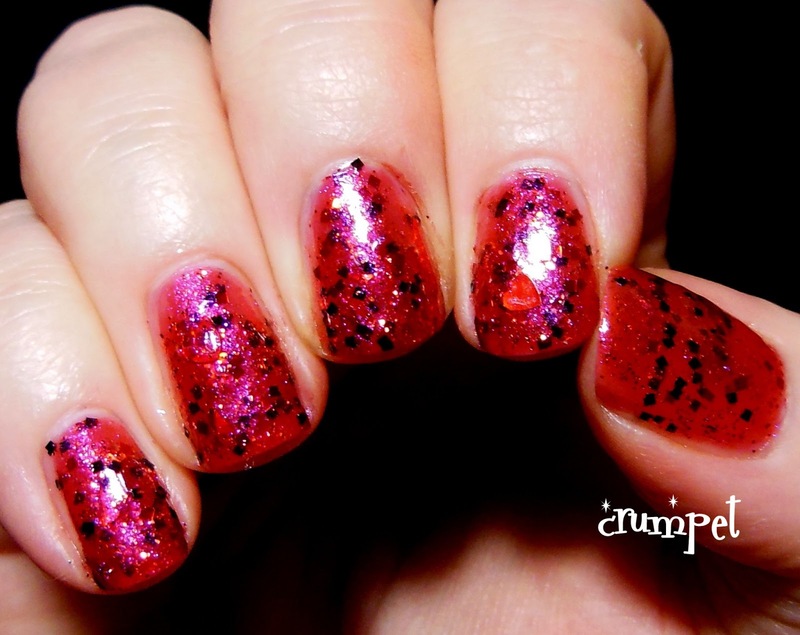 Love for Amy! Lol. First up is one of my 3 favourites - Love-In-Idleness. This is a dusty muted purple glitter. 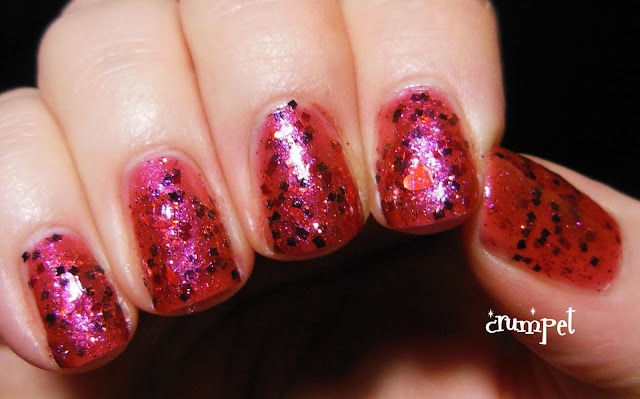 This required 3 coats for opacity, no undies, and built up smoothly and without frustration. 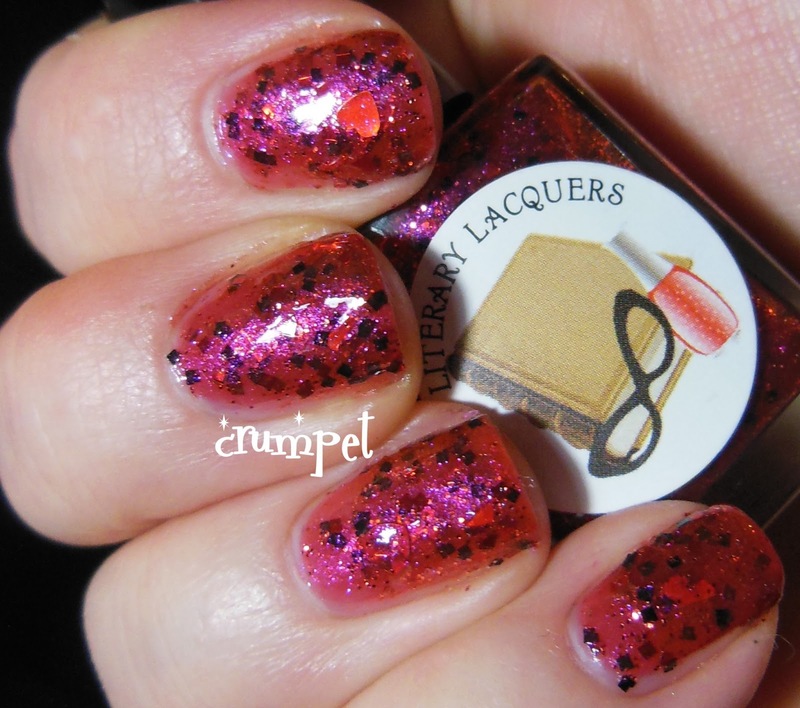 The glitter mix on this is just gorgeous - there's squares,a little bit of fuchsia and a little bit of aqua. 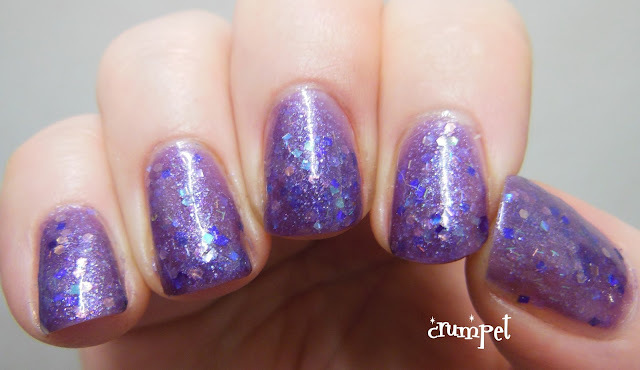 This is just a sublime purple soup. 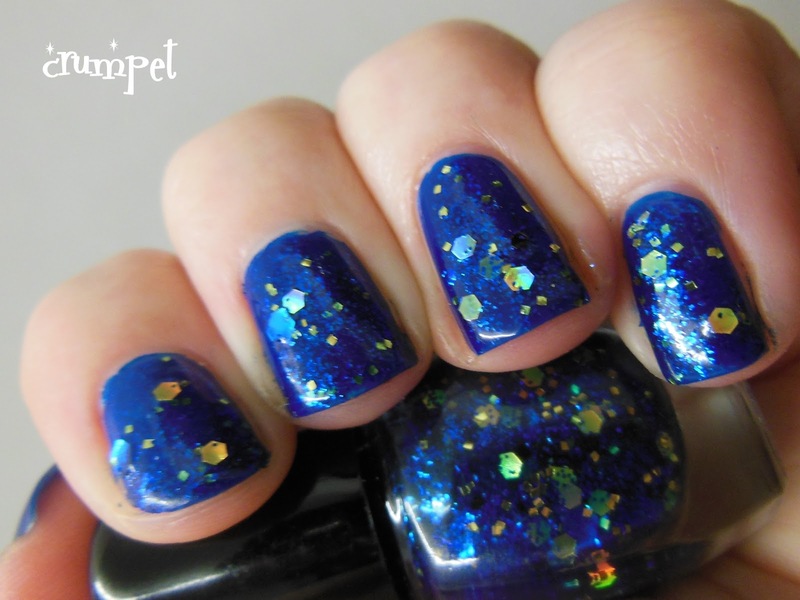 Total Love. 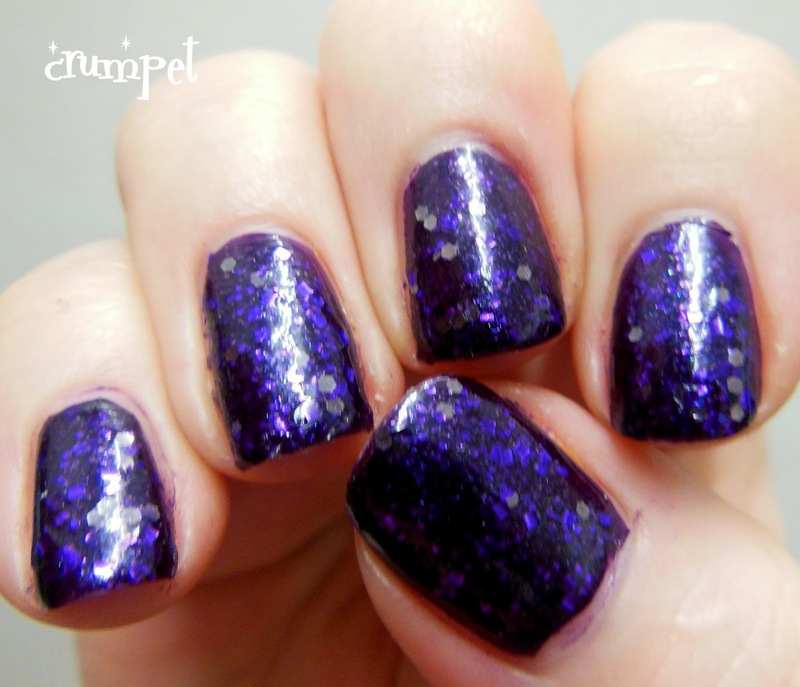 The 2nd purple is Mina, and I had a little less love for this one, although she's still gorgeous. 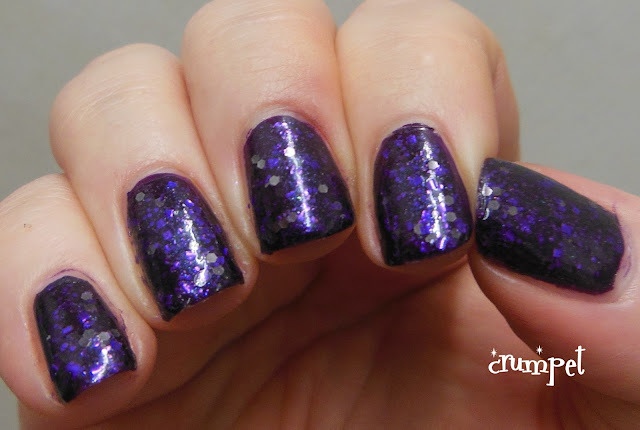 I layered Mina over Barry M Blackberry so that her crazy disco mix of silver, purple and violet had a solid soundtrack, and she does really pop. I think she looked a little prettier in real life than she does in these photos. Again, she applied easily, but she does suffer in comparison to Love-In-Idleness. 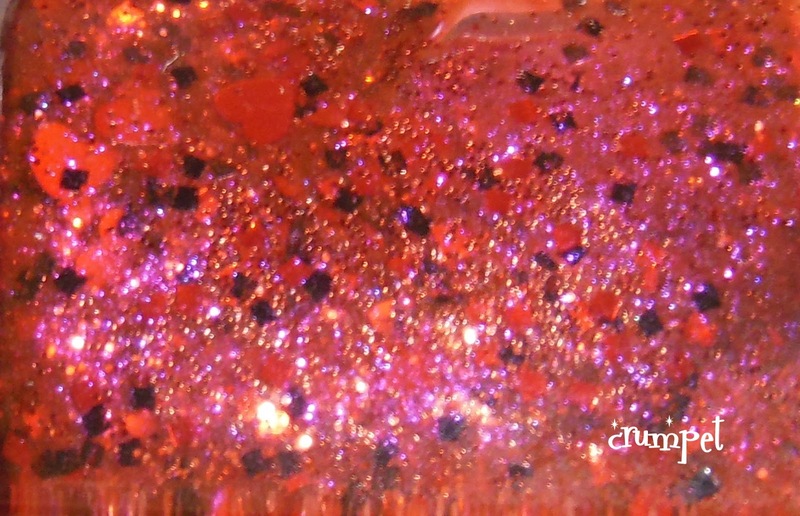 The 3rd glitter is really interesting and is my 2nd big love from the these 7. 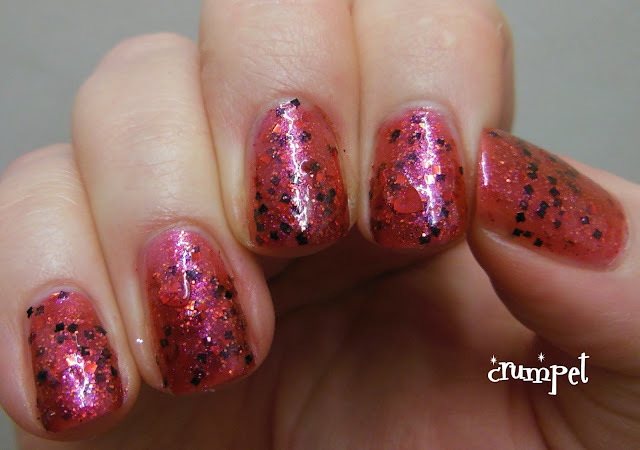 The Course of True Love is a tomatoey-red laced with pink shimmer and a tad of orange, bombed out with glitter. 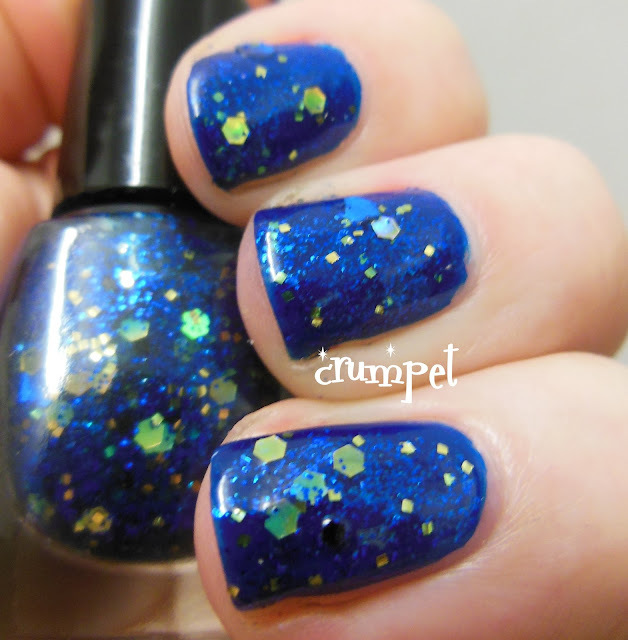 This is 3 coats, no undies. In many ways, this reminds me of KBShimmer's Berry Christmas - they both share a central tone that's not red or pink or orange but some delicious combination of all 3. 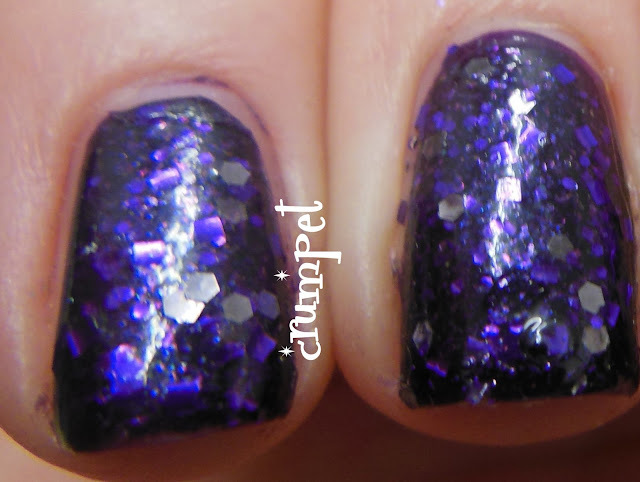 The black glitter is the genius in this mix, taking it down a quirky route that I just love. As befits its name, this also contains heart shaped glitter. 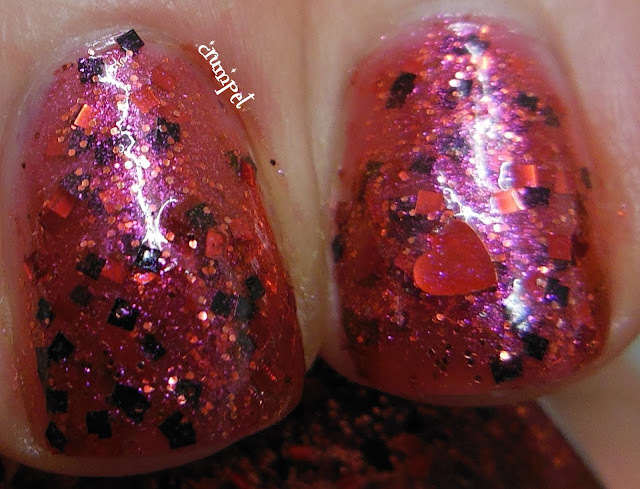 Now, you may know I don't care for shaped glitter at all, but I didn't mind it in this one - it was occasional enough that it looked artistic, and that heart just placed itself perfectly! 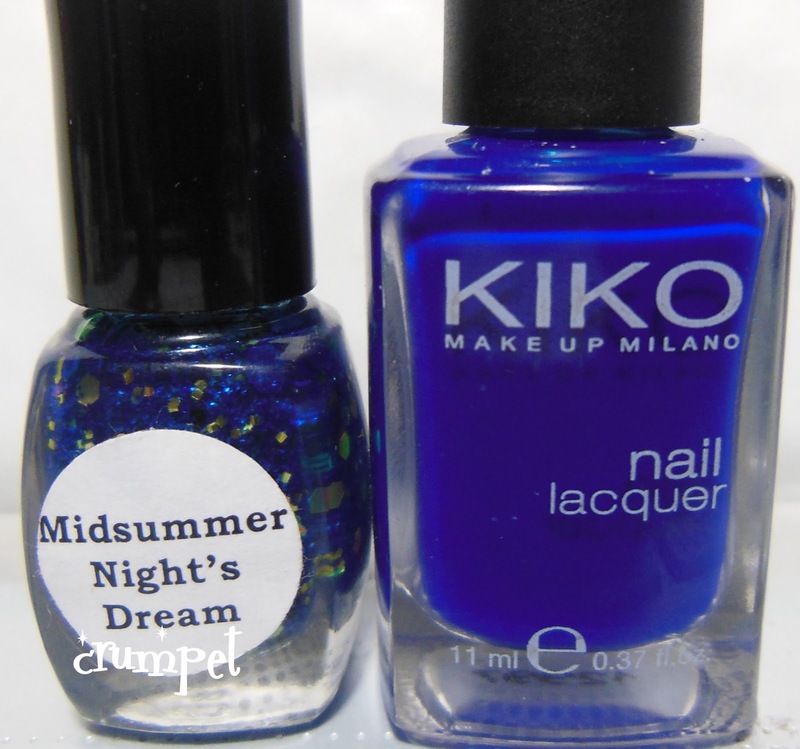 The final polish today is Midsummer Night's Dream, a midnight blue and gold glitter which I layered over KIKO 335. 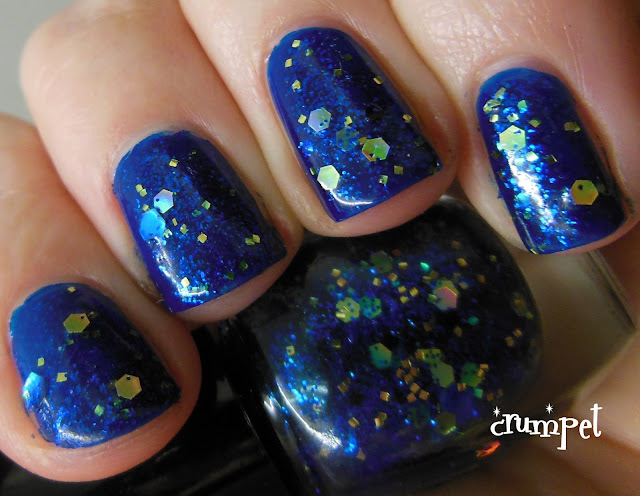 This polish is beautiful, but there's something about it that doesn't work on me. I wasn't happy with any of the photos that I took of it, so expect it to look more beautiful on you. 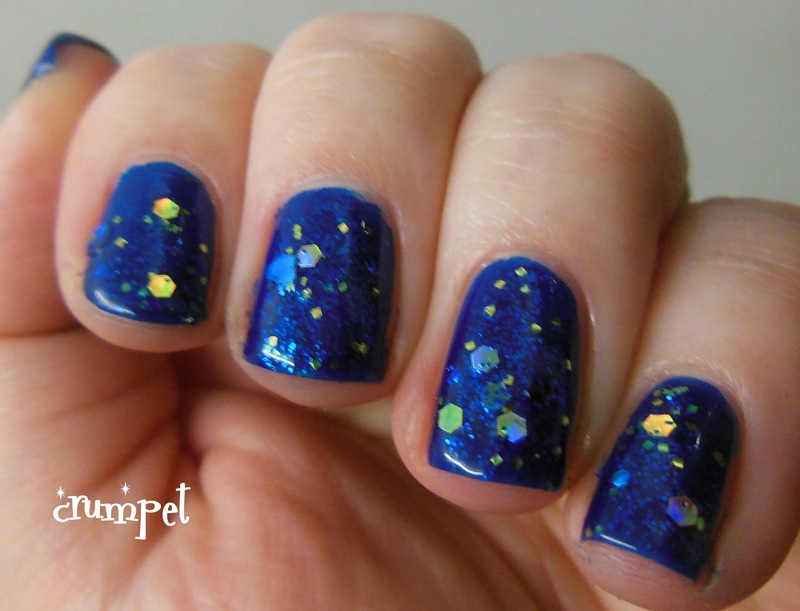 There is a perfect starry Van Gogh quality to this polish, but it may have been better layered over a darker base (rather than one with a similar tone). Literary Lacquers are available from Amy's Etsy store HERE. 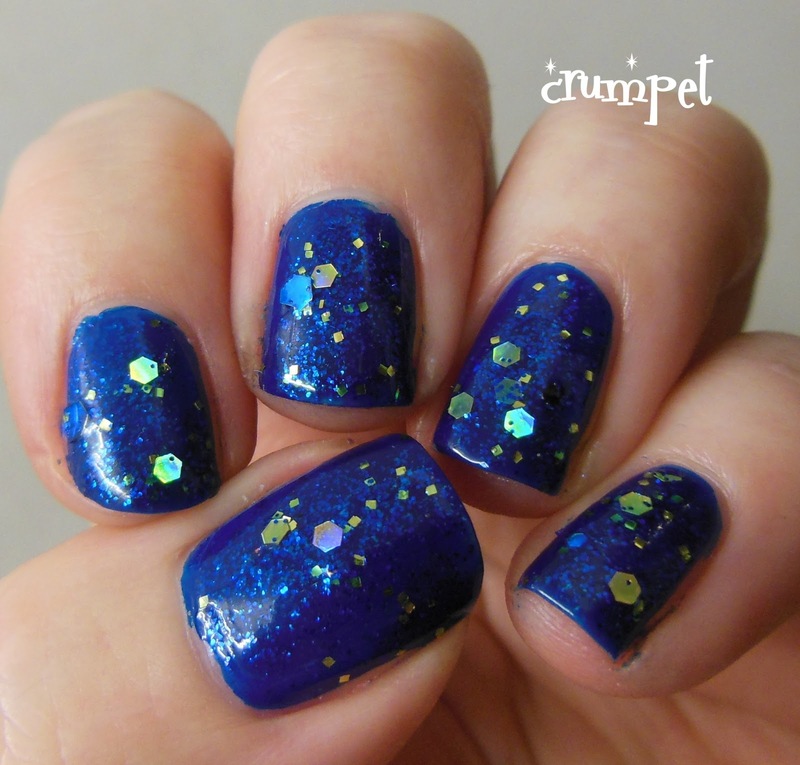 They are polishes with a lot of thought, love and heart put into them, and this is what lifts them above the ordinary, and makes some of them genuine works of art. I'll have the other 3 polishes soon, which includes my very favourite one which Amy sent me, so stay tuned. 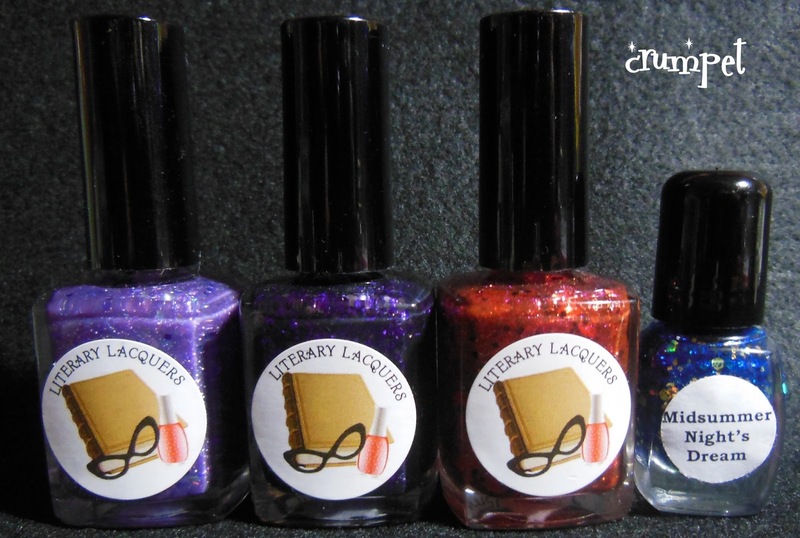 In the meantime, you can follow Literary Lacquers on Facebook HERE.